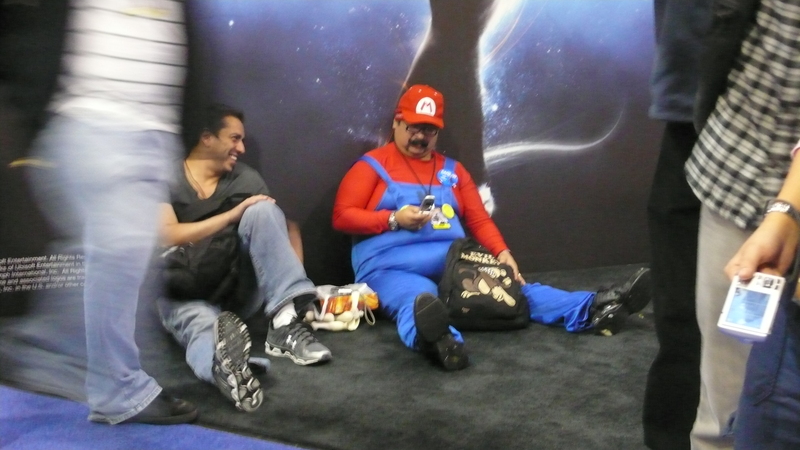 After the break, my ABSOLUTE FAVORITE shot from Comic-Con NYC 2K10. This entry was posted in Gadgeteering, Unhappy Media and tagged comic, comic-con, cosplay, toys, video games, xbox 360 kinect. Bookmark the permalink. Oh, man, he’s gonna kill me. Nick, I’m impressed that you even spotted me. Unhappy Mediator, although I clearly could have avoided all of this by simply stepping out of the way of your camera, you will forever be the person who put me (albeit briefly) on YouTube. I am now going to be recognized everywhere as “the handsome gentleman who watched that Kinect demo at Comic Con”. I can see the paparazzi now. I AM ENTITLED TO MY OWN PRIVACY DAMN IT!